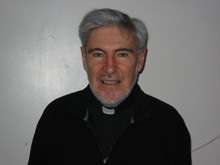 Fr Hugh O Kane, SMA. is a native of Ballynahinch Co Down. He received his secondary school education at Garron Tower Grammar School, Co Antrim. He joined the SMA (Society of Missionaries to Africa) Novitiate, in Galway. Later, two years were spent in SMA College, Dromantine, Newry. Fr O'Kane studied Philosophy at Queen’s University, Belfast, residing in the clerical students' wing of St Malachy’s College, Belfast. His college days were rounded of with four further years, studying Theology at Maynooth Major Seminary, Co Kildare, Ireland. After ordination Fr O'Kane spent twenty one years in Northern Nigeria as a missionary in the Diocese of Jos. He left Nigeria in 1996 and spent a sabbatical year, studying in Rome. 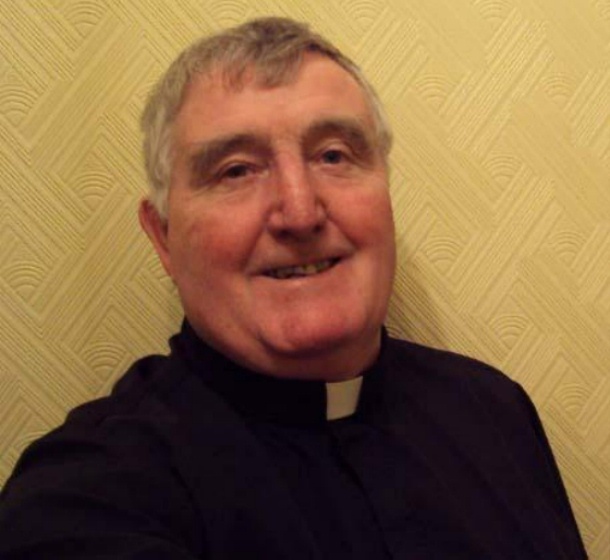 He began working in the Diocese of Down and Connor in 1997, beginning in Newcastle, Co Down, followed by a short spell in St Paul’s Parish, Falls Rd, Belfast. He was then transferred to Randalstown Parish. where he remained for about four years before being transferred as curate to the Parish of Ballycastle in 2001. Fr O'Kane, as well as being curate in Ballycastle, resides at Ballinlea in the neighbouring parish of Ballintoy. Born into a family of three boys and three girls. Educated at Coa Primary school until the age of fourteen. From age of 14 worked as a farm labourer, road trucker, truck driver,sigger driver and mechanical work until age 39 when he began to study for religious life and ordination. Ordained on 6th October, 1991 and worked on parish missions for about ten years. The next number of years were spent on various types of retreat work. On 23rd October, 2008 was appointed to Ballycastle as curate. Jennifer McBride - Parish Secretary 02820762223 between 9am and 2pm Monday to Friday.